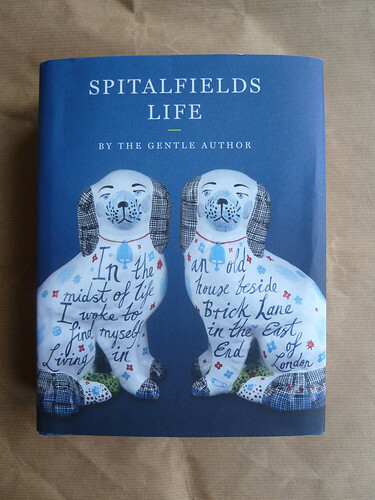 Instead of the usual handful of PR people and journalists sipping white wine in a private club room or bookshop gallery, there was a genteel throng entering Christ Church, Spitalfields, while the bells rang out to celebrate the publication of Spitalfields Life by The Gentle Author. The hefty, 450-page hardback is a compilation drawn from the first eighteen months of daily posts by this anonymous local writer, who landed in the neighbourhood in what he terms ‘the midst of life’. 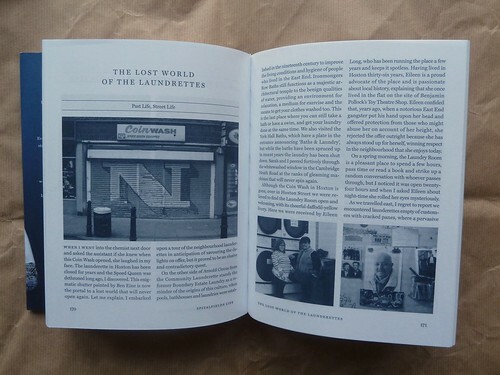 It’s the latest ‘book of the blog’ project in a long line that includes such titles as Blood Sweat and Tea, the Secret Diary of a Call Girl and Marian Bantjes’ I Wonder, (see ‘Slow print’ in Eye 77) all of which began life as personal, unmediated blog posts. Christ Church’s grand interior quickly filled up with people of all kinds: locals (many of them the subjects of the Gentle Author’s pen portraits), artists, writers, Pearly Kings and Queens and pensioners. But above all, however, I got the impression they were avid readers – which for most publishers would have made this an event to die for. 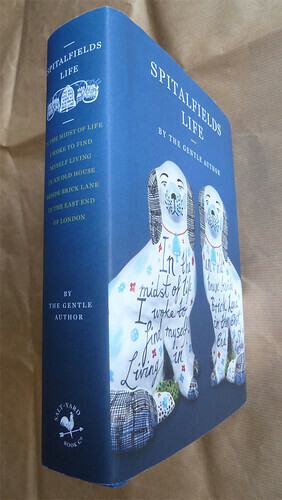 A woman who had driven to Spitalfields from Hampshire for the launch said that she read every word, and Elizabeth Hallet, the book’s publisher, spoke of the way she, like many other devotees, would read the Gentle Author’s posts each day over breakfast. With beer on tap, Eccles cakes, ukuleles and games of Carrom (the billiards-like Indian game played with draught counters on flat square boards), the evening was a pleasing hybrid of village social, literary festival tent and arty hangout – it reminded me of an evening at the Ebenezer Chapel in Burrowbridge, Somerset. It was also the only book event I’ve been to where a cleric (Andy Rider, Rector of Christ Church) blessed the book. Not that this title needs divine assistance – I suspect it will be a big hit. I ran into the book’s designer, David Pearson (see Eye 77), who noted with a wry smile that setting a book in two columns ‘doubles the work’. 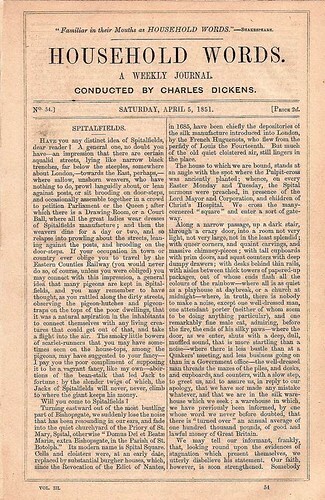 A recent post on Spitalfields Life discusses Pearson’s choice of typeface (Miller by Matthew Carter) and his page design – which is based on a copy of Dickens’ Household Words sent to him by the author. 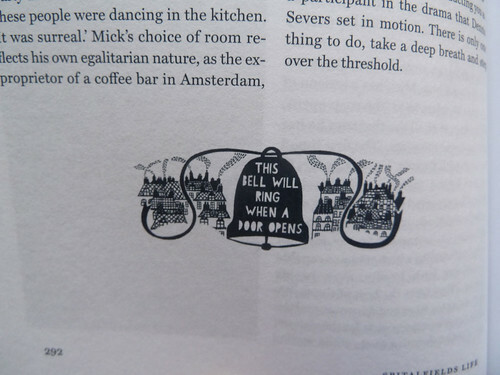 There are 150 posts in the big book, but it is also packed with imagery, including photographs taken by the author, many fascinating archive and family photos, and illustrations by Mark Hearld (see endpapers, top), Lucinda Rogers and Rob Ryan, whose ‘This bell will ring …’ (below) images punctuate some of the chapters. Will it possible for the Gentle Author to maintain such anonymity while pursuing the self-imposed ‘hare-brained’ ambition of writing 10,000 daily posts in the coming three decades? After the success of Friday one imagines there will be more book signings, and there’s even a Guardian Masterclass on ‘How to write a blog with The Gentle Author’. Will this be conducted with the author hidden behind a screen, or Batman-like mask, whenever inquisitive journalists stop by? For more about this fascinating person – who had an earlier, successful career as a writer before their reinvention as a compulsive blogger – I recommend Tim Rich’s interview with the Gentle Author in Random Spectacular. 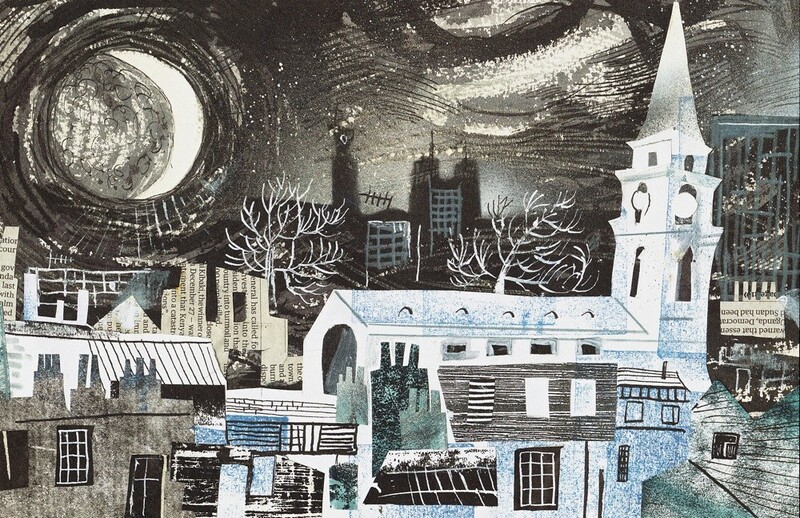 You can order a signed copy of Spitalfields Life (Saltyard Press, £20) from The Gentle Author’s shop, which also has two of Herb Lester Editions’ maps, and prints by Adam Dant (more maps), Justin Knopp and Paul Bommer (some of whose illustrations appear in the forthcoming issue of Eye). Eye 81 has the theme of ‘Designers and clients’. Eye 82 has just been printed.